Fashion loves an animal. But the whole dog is for life … principle doesn’t hold here. This is not an industry known for its sentiment. One season it might be all about cats (see Choupette), the next dogs (Cara’s Leo) and right now? Bees. (There are also unicorns but since they’re made up, they don’t count). Don’t go thinking this is about the decline of bees, or any other such environmentally conscious thinking. This is actually much more about the new Gucci. Since taking over in January last year, Alessandro Michele – AKA fashion’s current cult leader – has upped the animal content in the brand with a veritable menagerie. Birds, butterflies, snaked and bees have chirped, fluttered, slithered and buzzed all over sweaters, blouses and suits. An update of the Gucci GG canvas crossbody bag features a gold embroidered bee. It has been the subtle front-row status bag of choice at the most recent round of shows. And the bee is on the red carpet, too. Eddie Redmayne stood out, just enough, at the Golden Globes in a Gucci suit with black bees embroidered on black silk. Others have joined Michele in fashion’s bee colony. 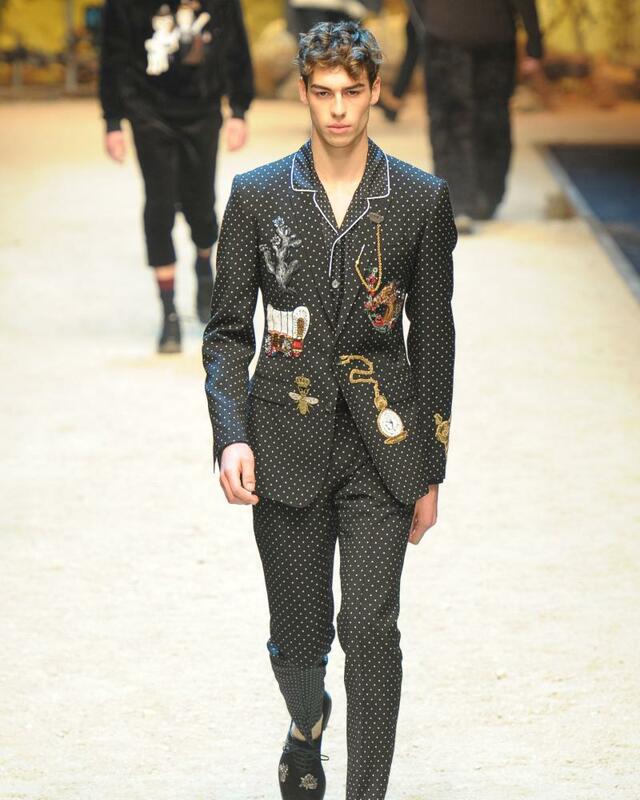 Dolce & Gabbana had bees on suits in its January men’s show, and Bally has put bees on handbags. Alex Monroe’s bee pendants have long been a fashion favourite. And Sienna Miller, dressed in her best yellow and black stripes in Highrise, is clearly all about looking as much like a bee as possible. Of course, the bee trend goes beyond even Michele, to two things that make life in 2016 just that little bit better: Beyoncé and emojis. As a subscriber to Beyoncé’s mailing list, you are part of the BeyHive (see what she did there?). And then there’s the very cute, plump and stripy bee emoji, suitable for such shorthand as may(insert bee emoji here). With that holy trinity of influences, fashion’s adoption of the bee was only a matter of time. Until it buzzes off once again, of course.